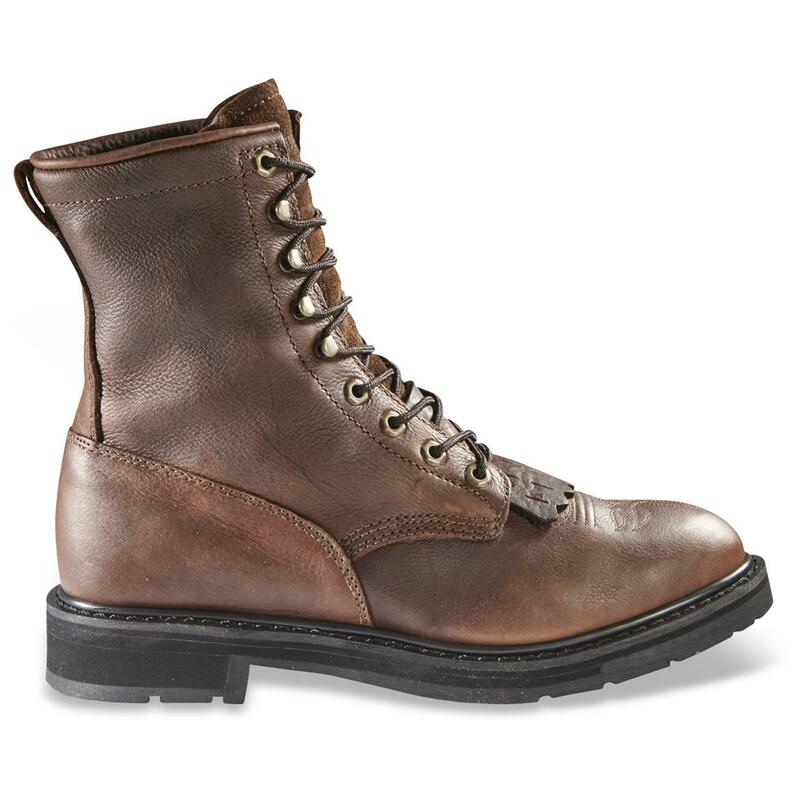 If you have a standing 5:00 AM appointment with your alarm clock, these are the all-day-comfortable Boots you want. 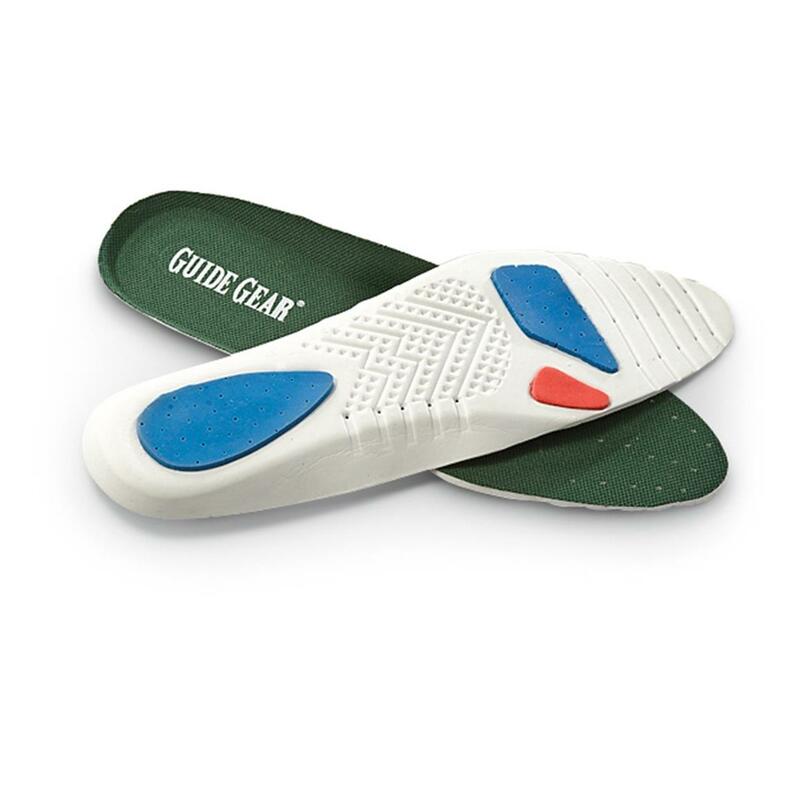 The multi-density insole provides shock absorption and stability, whether you're mending a fence or swinging a hammer. 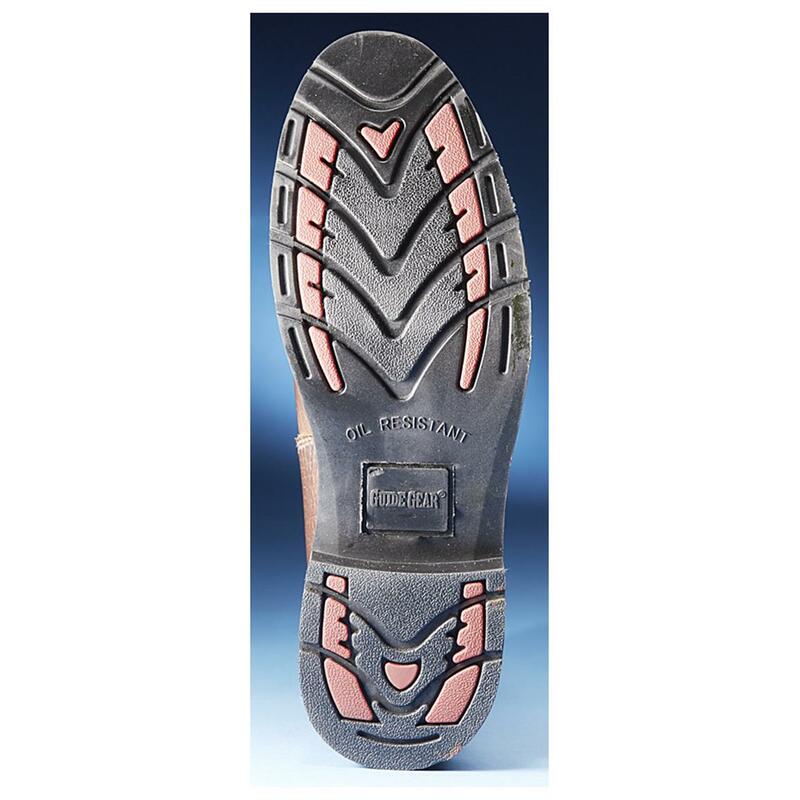 The polyurethane outsole resists oil and slips, so it's perfect for shops and muddy environments alike. Each approx. 9", 26 oz. 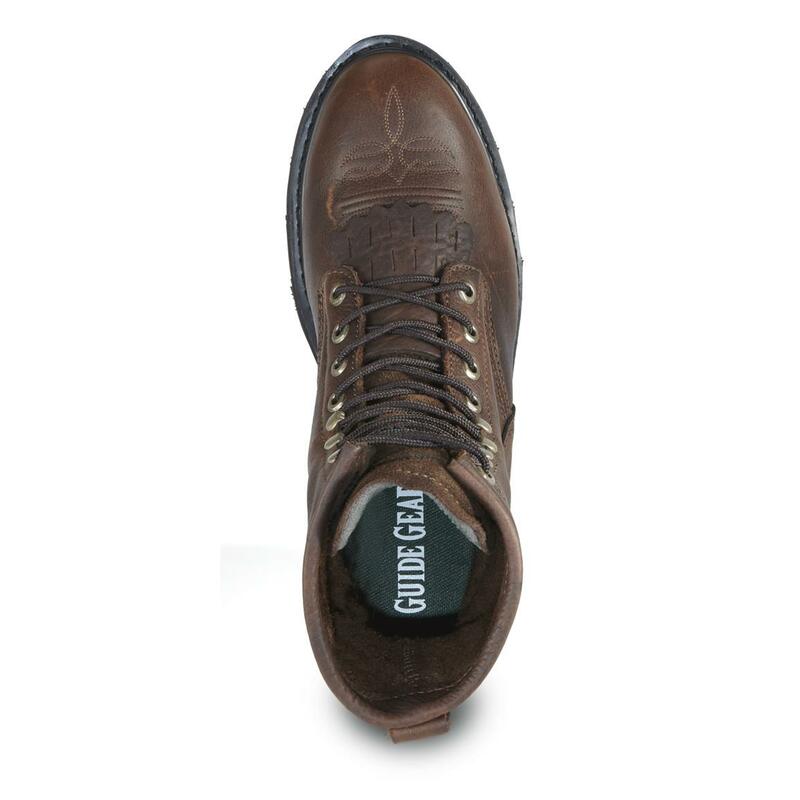 Guide Gear Mens 9 Kiltie Leather Work Boots is rated 4.3 out of 5 by 41. Rated 3 out of 5 by Ozarks boy from Looked great but had a problem. 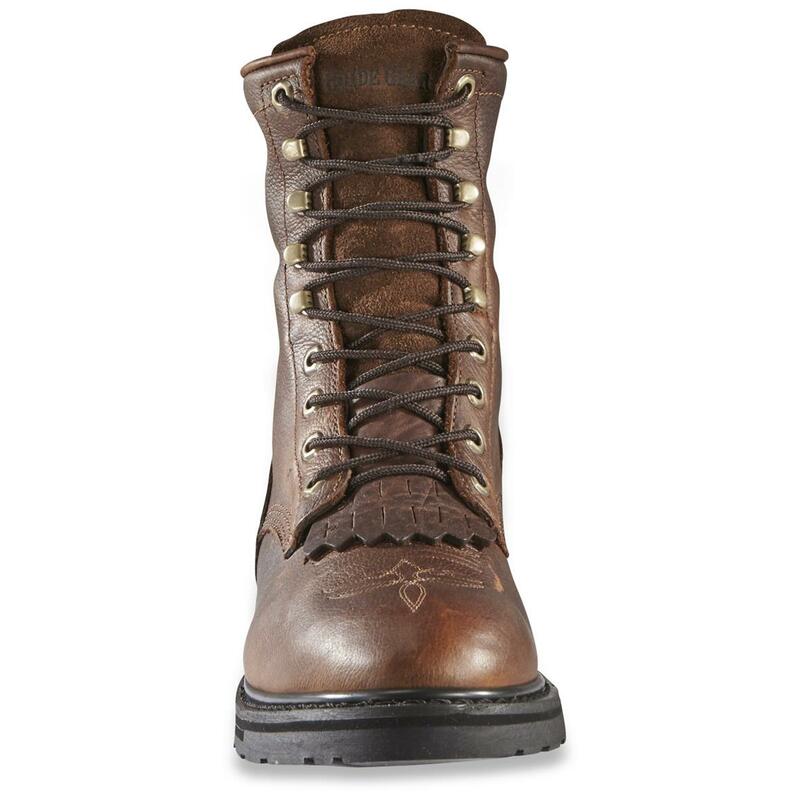 The boots looked great and well made, but when I put the right one on there was a defect inside the boot. 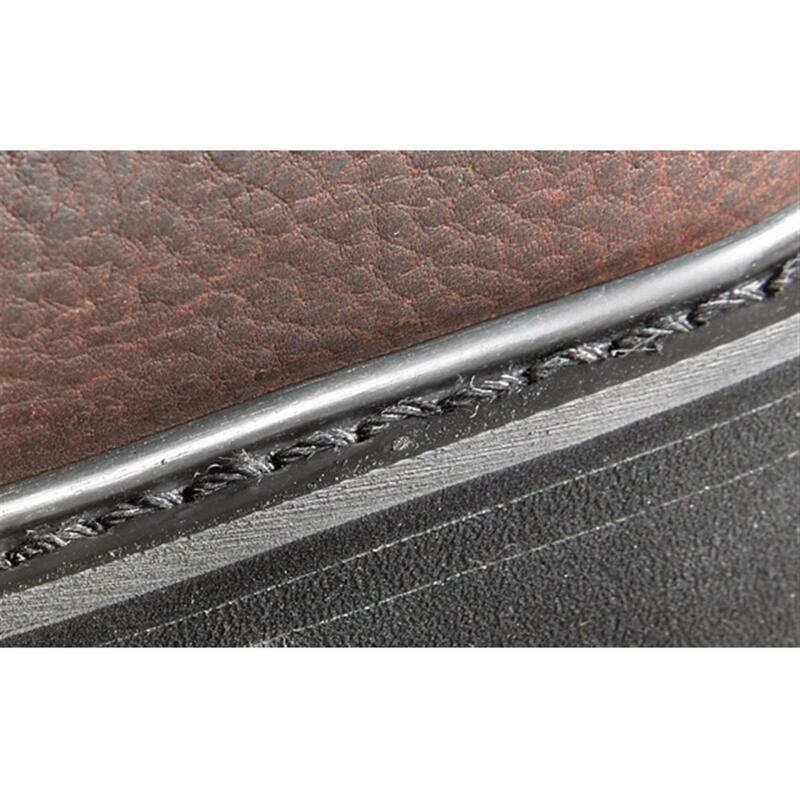 The side stitching was done in such a way that there was a very large overlap of fabric and leather on the right side of the foot. 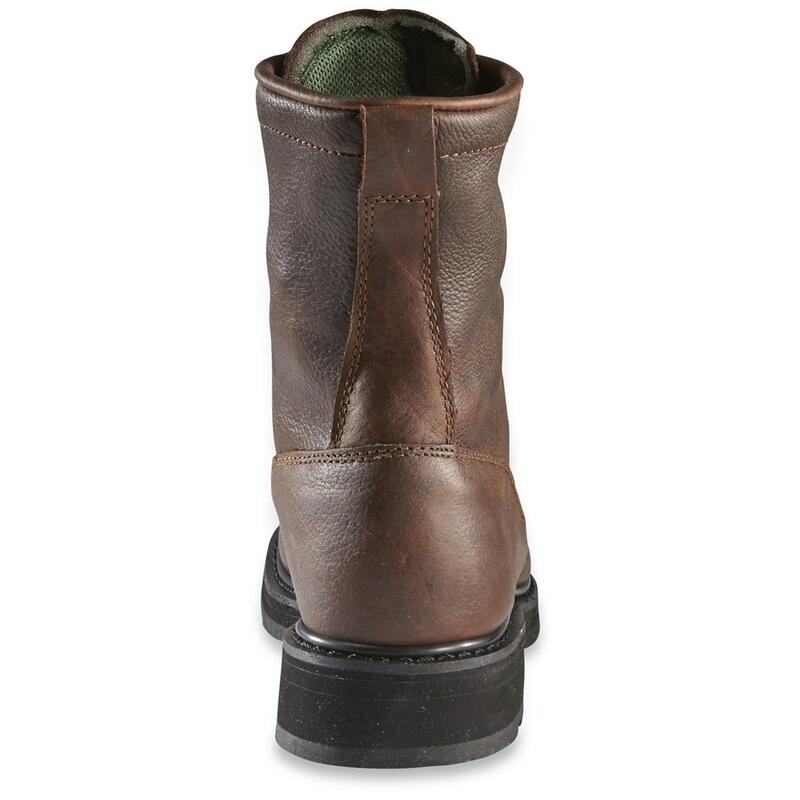 There was a large flap of leather, and the boot fit tighter on that side which made it even worse. Simply not wearable! The left boot was stitched correctly, so I assume it was just a mistake by whoever assembled the boot. I don't think you would catch this without putting the boot on. Rated 4 out of 5 by Rush from Great price, light weight and quality. Very pleased with this product. However, after purchasing many "Guide Gear" boots over the years I've never received a pair with an adequately sized pull on loop. 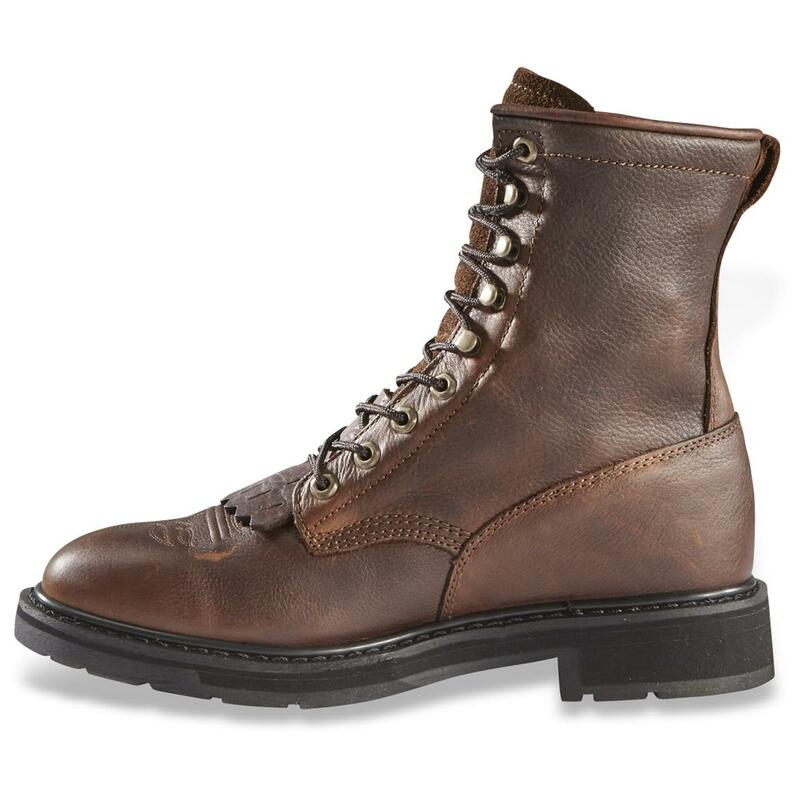 May I suggest you spend a few cents more to make it easier on these old hands and young hands to also pull on "Guide Gear" boots in the future. Rated 5 out of 5 by John from Great value; comfortable. 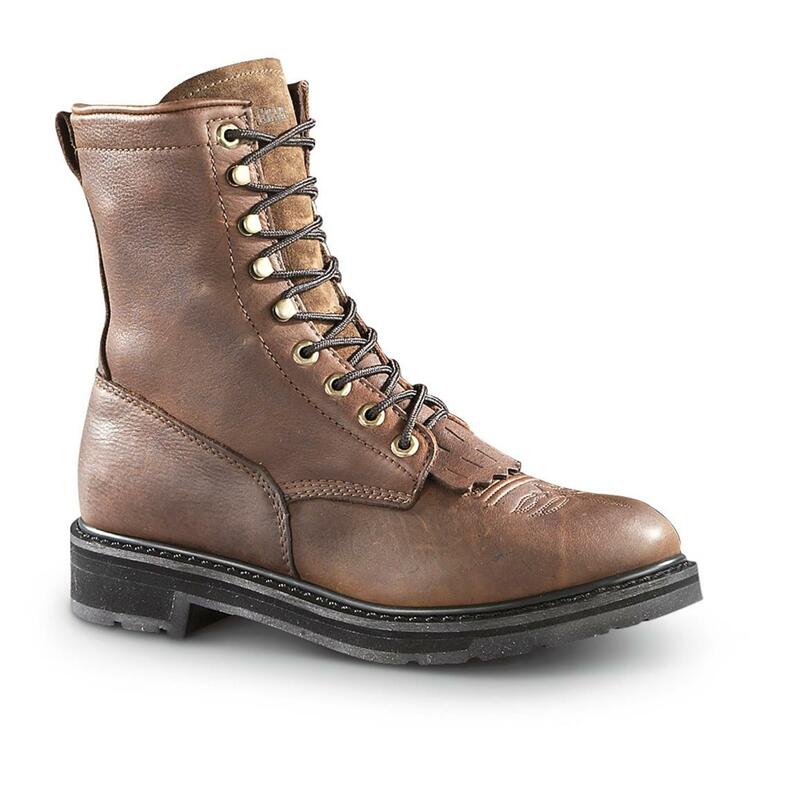 I cannot speak to the durability of these as I have not worn them enough however, they are true to size, comfortable and seem to be well made of good materials - "not just for the price" but genuinely a comfortable leather boot. I like these so much, that I ordered a second pair even thought he first pair just went through their (short) break-in period. The cushioning works well for pavement and hard surfaces. When riding a motorcycle the soles provide good grip when stopped.